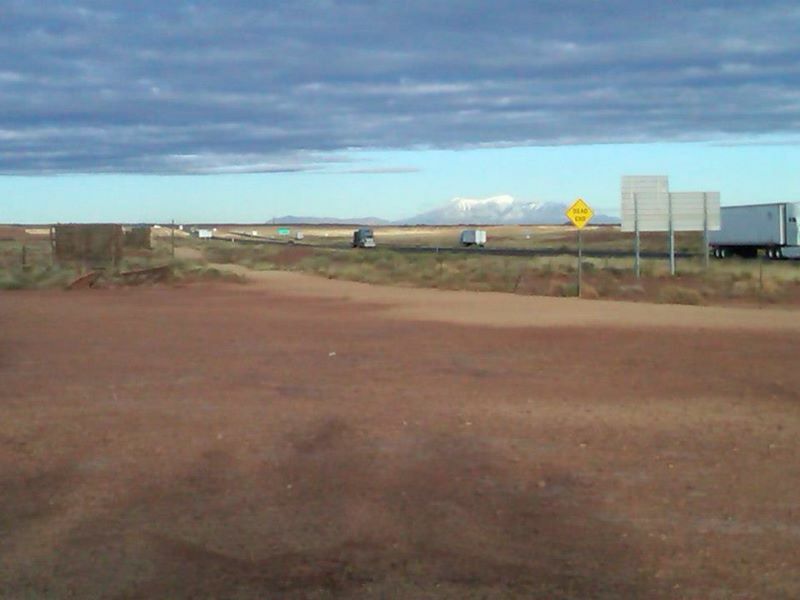 East of Meteor Crater at I-40/US 180 exit 239 is the ruins of the Meteor City Trade Post which was along US Route 66. 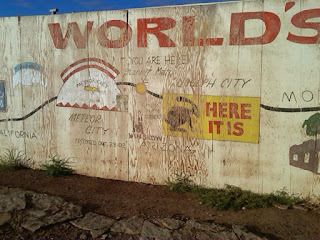 Meteor City was a trade post along US Route 66 which was constructed in 1938. 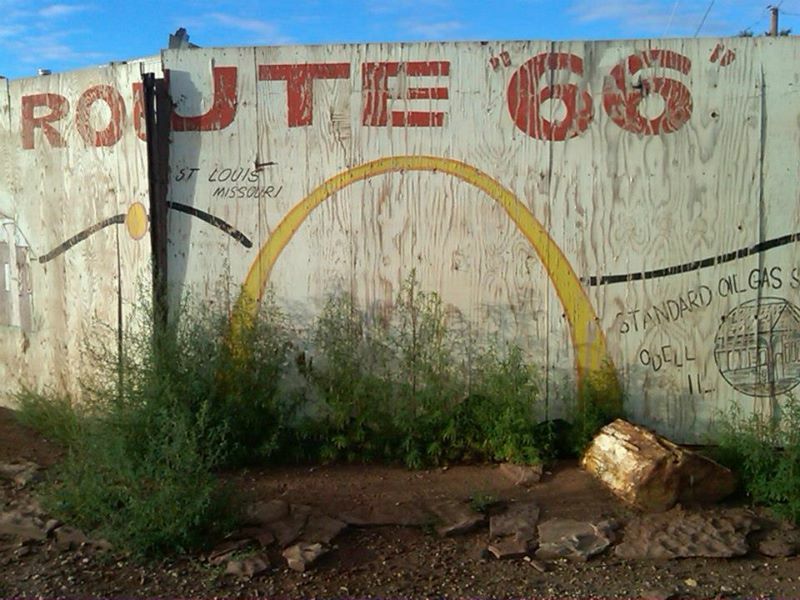 During the 1930s US Route 66 was realigned from National Old Trails Road alignments to run roughly where the eastbound lanes of I-40/US 180 are located today. 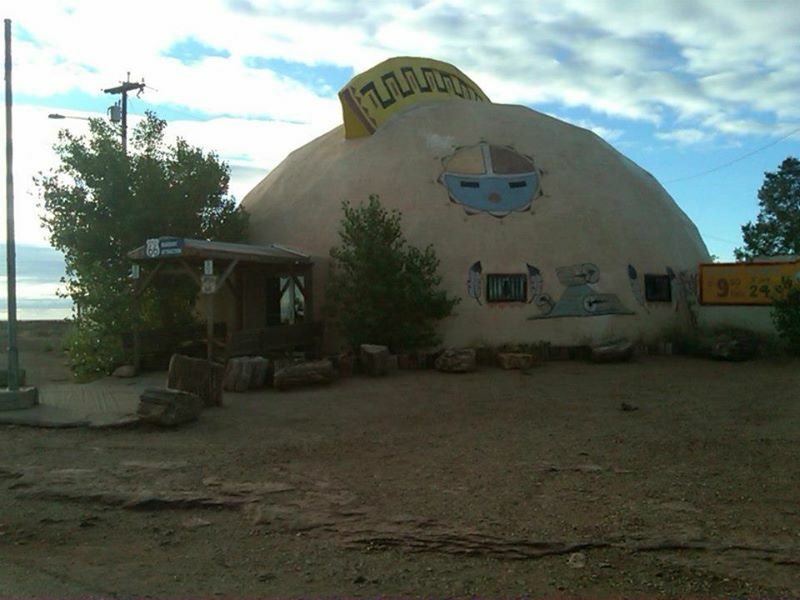 Meteor City is a stucco building that is in the shape of a dome. 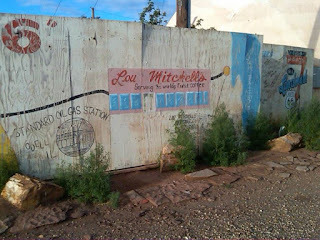 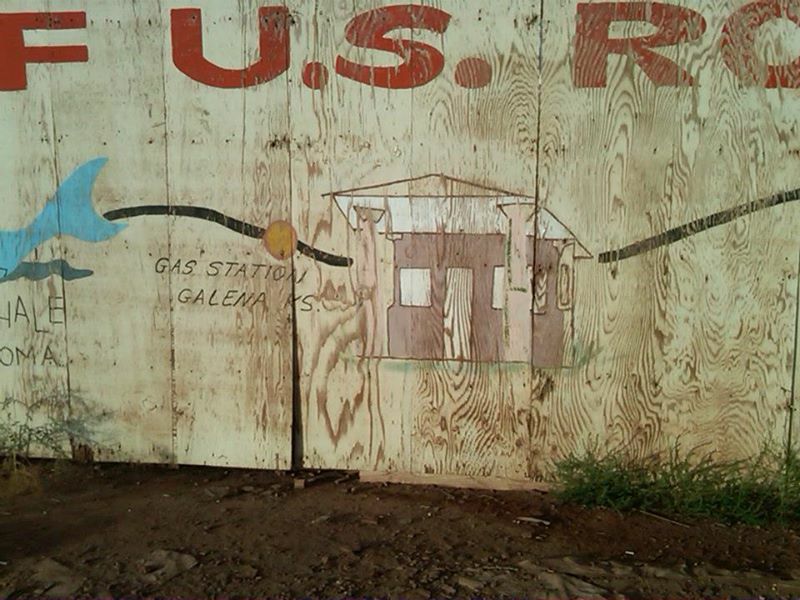 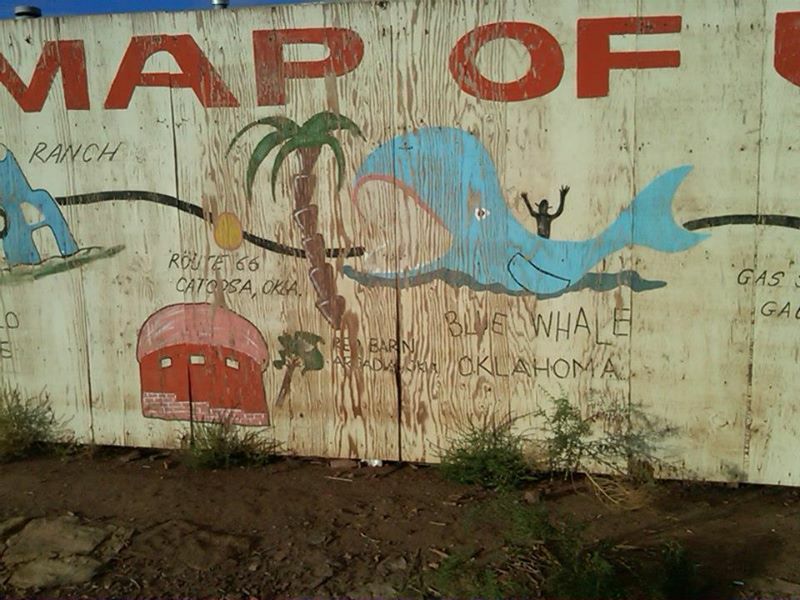 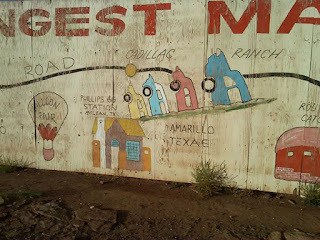 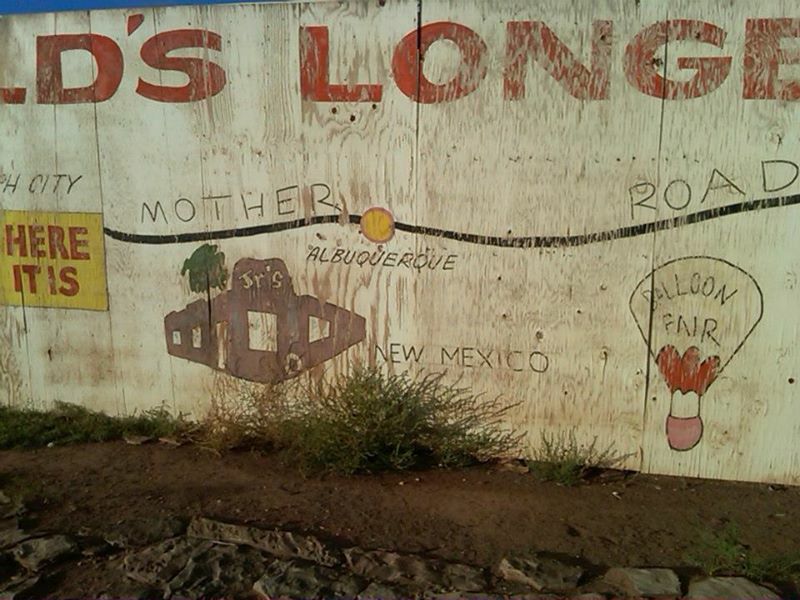 Meteor City once boasted what was touted as the longest US Route 66 map along a billboard wall. 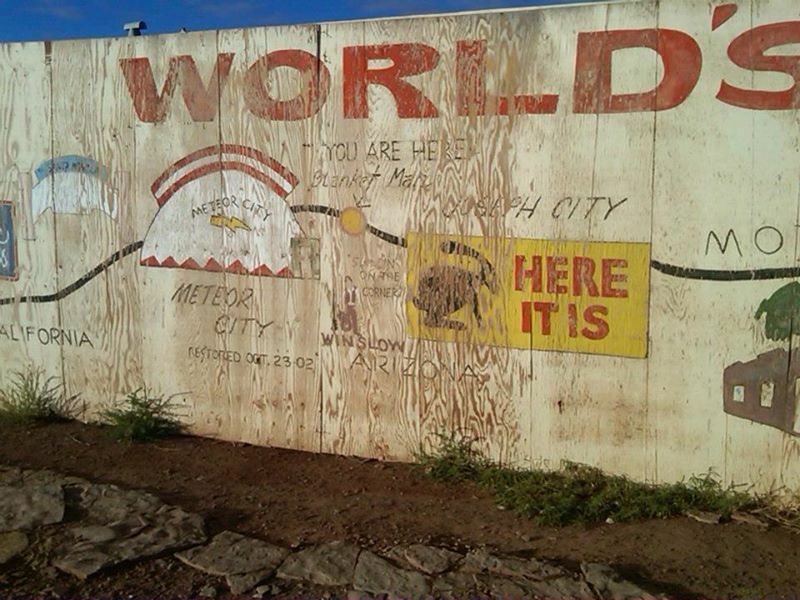 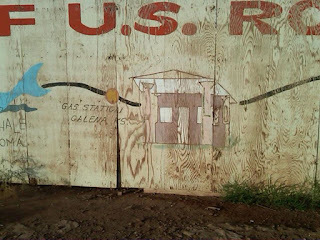 When I visited Meteor City in 2012 the map was still standing. 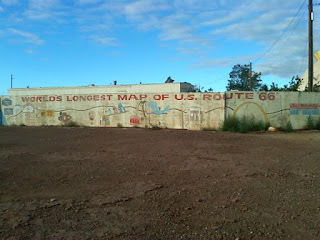 Below are close-up photos of the Meteor City US Route 66 map showing many of the well known locations that were along the highway. 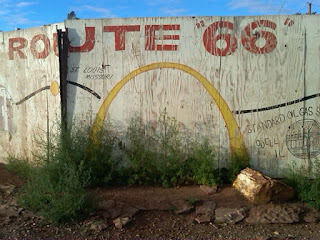 Unfortunately by the time I returned to Meteor City in 2015 most of the US Route 66 map had fallen over. 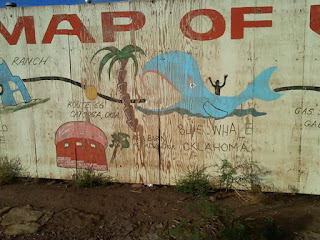 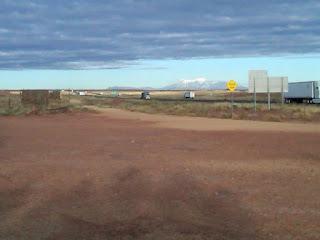 I was told in Winslow later in the day that the US Route 66 sign fell over in a wind storm.